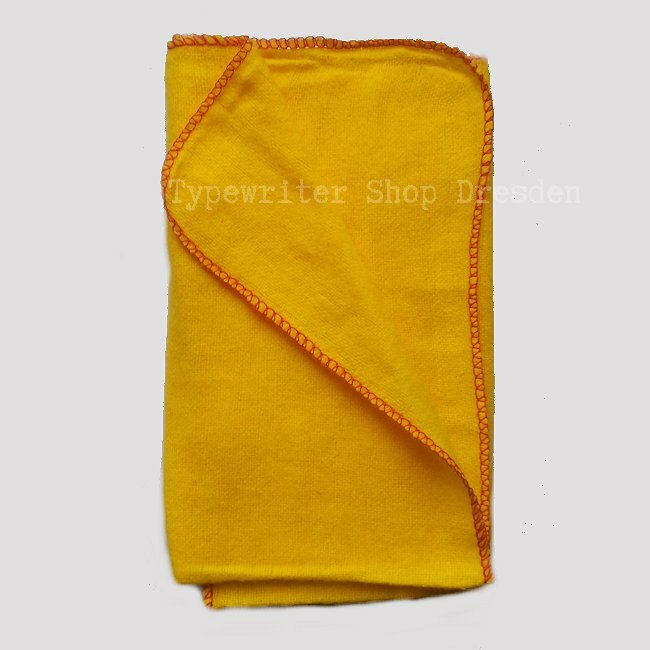 Price: 4,00 € (exclude shipping) – package Size S.
Special microfiber cleansing wipe for your typewriter. Very soft material to remove fingerprints and dust without scratchin the finish or decals. Size: ~ 14 inches x 14 inches (35 cm x 35 cm). If you click “Add to Shopping Cart” you will accept our Terms and Conditions/ AGB (includes cancellation policy) >>> .